“There’s a combining force of faith, prayer and fasting which no devil can resist. Therefore, any force resisting your glory is unseated right now. Whatever won’t let you go will go down for you. You are breaking forth on every side! 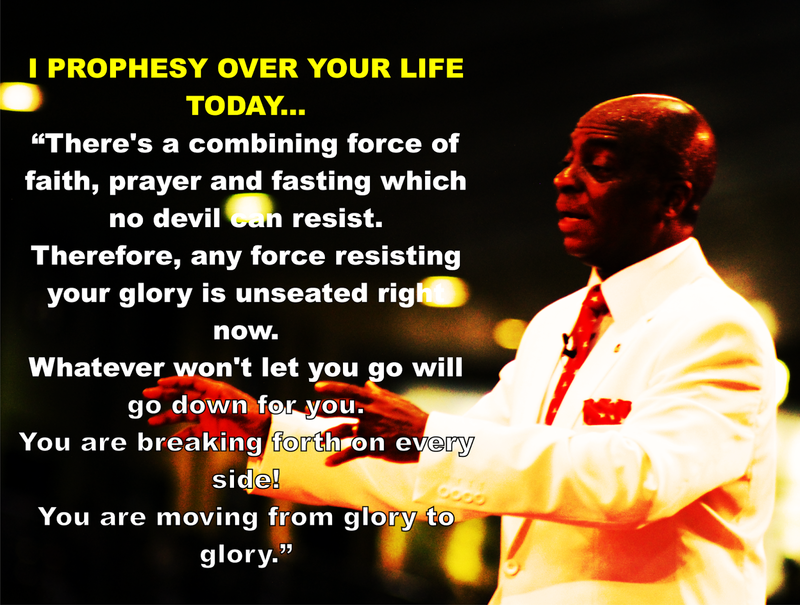 You are moving from glory to glory.” --- Bishop David Oyedepo, January 28, 2016.